During everyday life, many people struggle along each day with previously simple tasks. Disabilities and current injuries can make movement and grip much more of a difficult task. Opening doors, using handles, or trying to grip a mug can all be a task without strength of grip to help. This can cause distress in day to day lives. By using Tenura Silicone grip strips and rolls, these tasks can become that little bit easier. Our anti slip grip strips and rolls are made from silicone. This means they are very flexible and hardwearing. Traits which make this material perfect for providing a strong grip, by wrapping this material around an object or handle, you have instantly improved the grip you will have between you and the object, this makes moving the object around or using it much easier. 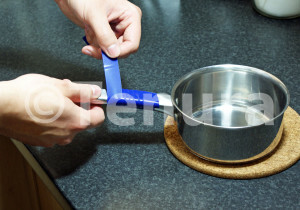 When wrapped around a handle, anti-slip grip strips offer a strong grip between the material and your hand, which means it shouldn’t fall or come away from the handle, the material will sit there comfortably until you choose to remove it. Although we suggest using Tenura anti slip grip strips and rolls around handles and utensils, there is a large amount of objects which this can be applied to, for example, anti-slip grip strips work great on a smooth bike handle, giving you a large amount of extra grip. This material can also be used to line objects where your arms or legs may rest to prevent slips and slides, like on the foot rest of a wheel chair, or on the handle of a crutch. Tenura anti slip grip rolls offer a DIY alternative to our stock solutions, this allows you to make a selection of different shapes and sizes, perfect for any job you may need it for! These rolls and strips are also very easy to clean, simple soap and water is enough to clean all dirt away from its surface. Then when dry again, it possesses the same level of grip it had when first used, allowing cleanliness in places you may need it. This material is easily wrapped round small or large areas, and will hold firm, until taken off by the user, this makes the strips and rolls perfect for using with cutlery, utensils, and many other objects which people with hand impairments may struggle using. 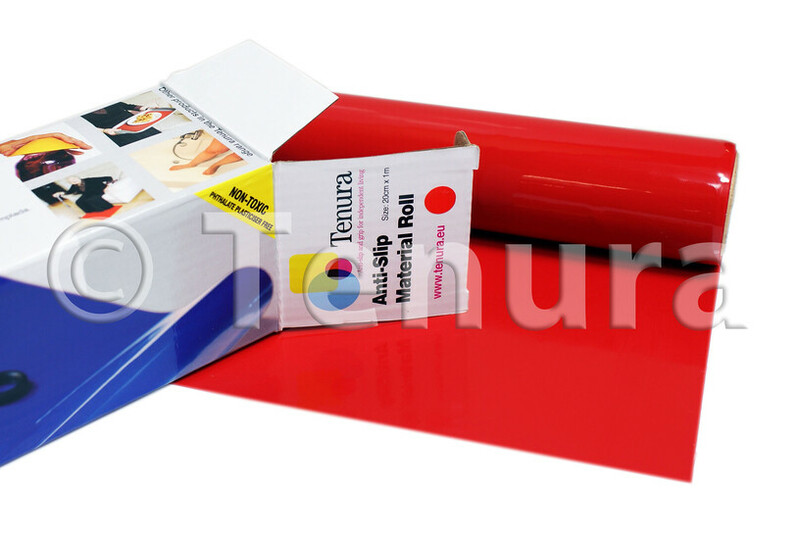 Tenura anti slip grip rolls are available in blue and red with sizes ranging from 1mx20cm to 9m x 40cm. Anti slip grip strips can be found in 1mx2cm in blue only. By using Tenura anti slip grip strips and rolls, you can be sure that previously simple day to day tasks are now possible, or no longer need the same amount of hard work to complete. Posted in Assisted Living, Daily Living Aids, Independent Living, Internet, Tenura Updates and tagged anti slip grip strips, day to day tasks now possible, perfect for any job you need it for!, tasks can become a little bit easier, tenura on 15th January 2015 .